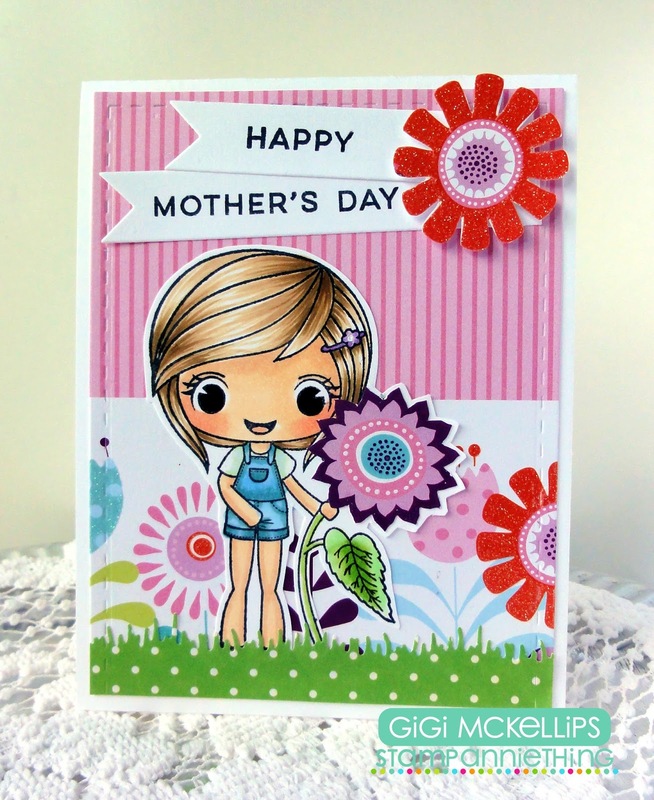 I used the Molly-Sunflower stamp set to create my card. 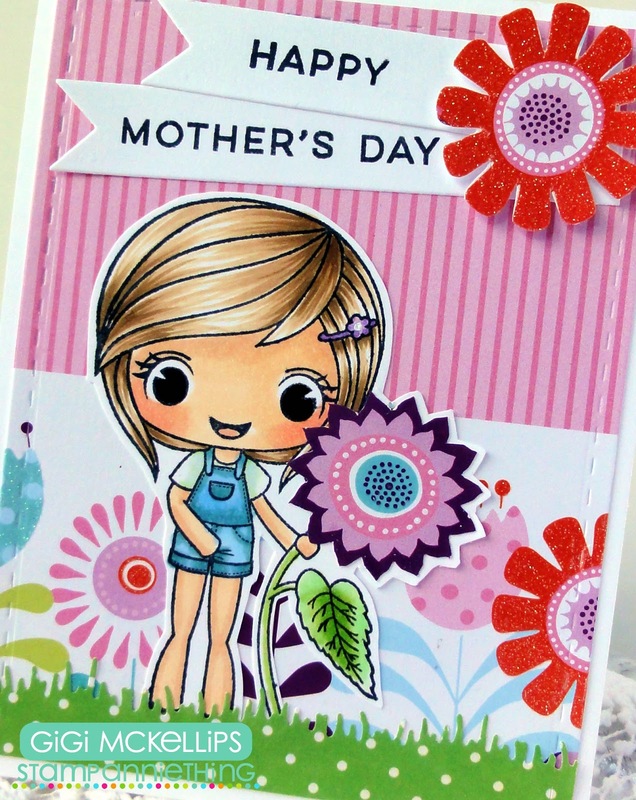 I thought Molly with her sunflower would be super cute for a Mother's Day card! I fussy cut the flower head from the pattern paper, gluing it over top of the stamped image. I stamped the sentiments from the Happy Hello and Happy Hello Add On stamp sets onto tags cut from the Flag Dies 2. To finish, I fussy cut another flower and added it to the sentiment tags and cut the grass with the Spring Dies. que c'est gai, printanier et adorable!